Attorney Gregory G. Harris has more than 32 years of experience guiding clients through complex litigation and financial matters. 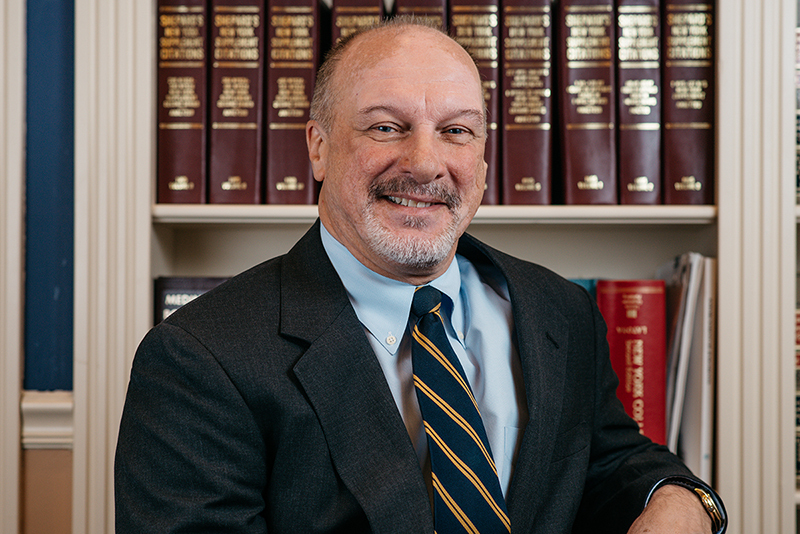 After completing a judicial clerkship, Mr. Harris entered private practice. In 1989 Mr. Harris was selected as a Chapter 7 Bankruptcy Trustee in the United States Bankruptcy Court for the Northern District of New York. Mr. Harris has represented countless clients with significant wealth through separation and divorce, ensuring that their assets are protected. He has also represented individuals and companies through bankruptcy proceedings and corporate litigation. Mr. Harris also represents credit unions in foreclosures and commercial matters. Mr. Harris has served as an Assistant Public Defender, Town Attorney for East Greenbush and Counsel to the Rensselaer County Sewer District Board of Managers. He has been the acting Village Justice in the Village of Nassau, Rensselaer County, since 2003. He has also been appointed to sit as an Acting City Court Judge in the Cities of Troy, Albany and Rensselaer. Mr. Harris and his wife, Marianne, live in East Greenbush with their two children.